1. How about listing the number of VMs per Resource Pool? 2. How can we extend this to get the templates as well ? Ok, easy stuff (I thought). Question 1. How about listing the number of VMs per Resource Pool? What you need to remember about this is that even if a VM is not in a resource pool it still has resources available to it which have to come from somewhere so in fact what VMware do behind the scenes is have a hidden resource pool called ‘Resources’ where it places the VM when it is not in any other resource pool. Question 2. How can we extend this to get the templates as well ? Hi, This Script looks too good in online. 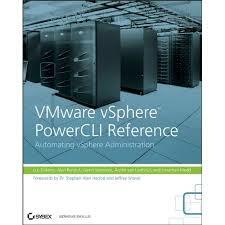 However, I am trying to collect VM and HOST counts of Vcenter by each cluster, So could you please guide me how can we do that within this one-liner script. Thanks, Hal did a great job with his book, you will enjoy reading it. BTW, my order finally arrived today. Love the book!